Motorcycles may be a fun way to travel, but if you are involved in a motorcycle accident, you could face devastating injuries. While cars are designed to protect their drivers and passengers, motorcycles don’t have these same protections. Without seatbelts, windshields, or crumple zones, motorcycle riders can face very serious injuries in an accident. However, just because you are riding a motorcycle does not mean that other drivers are not responsible for the increased injuries their victims face. If you or a loved one was injured in a motorcycle accident, you may be entitled to substantial compensation. The Montgomery motorcycle accident lawyers at The Morrison Law Firm, LLC may be able to take your case. You may be entitled to substantial compensation, especially for severe injuries. Call our law firm today at (334) 625-6128 for a free consultation on your case. If you were injured in a motorcycle accident, you may face severe injuries. Because motorcycles do not have walls, seat belts, or other safety features, riders can face debilitating injuries after a motorcycle accident. Head injuries are extremely common in motorcycle crashes. One of the best ways to prevent these injuries is to wear a helmet. Alabama law requires all motorcycle riders to wear a helmet, but sometimes head injuries still occur. Concussions, and more severe traumatic brain injury (TBI), may cause confusion, nausea, personality change, and other problems. The worst cases of TBI may cause death or permanent damage that reduces your ability to think, reason, recognize objects or people, or causes problems with motor function like walking, moving, or other physical activities. Your legs and arms are also vulnerable to injuries on a motorcycle. When you straddle a motorcycle, your legs are vulnerable to impact on either side of the bike. If another car hits you on the side, or if you fall into a slide with the motorcycle on top of a leg, you could face serious injuries. Your legs could be crushed, bones could be broken, or you could even lose a leg in an accident like this. Similarly, your arms and hands are often exposed. If you fall on your side, you could break an arm in an attempt to catch yourself, or break your collar bone in a fall. Your wrists and forearms are vulnerable to impacts that could cause broken wrists or arms, as well as abrasions. Your back, neck, and spine are also very easily injured in a motorcycle crash. While some helmets and neck guards may help keep your neck straight during a collision, you could still suffer whiplash injuries in a motorcycle accident. If your head and neck suddenly whips forward and backwards, it can cause severe injury to the tendons, muscles, and bones in your neck. Your spine is one of the most important systems in your body. The spinal cord runs through the bones in your back and relays signals between your brain and the rest of your body. Any injury to the spine can mean numbness, loss of sensation, or paralysis below the point of injury. In less severe cases, misaligned bones in your spine can cause pain and numbness. In more severe cases of neck or back injury, you could face total paralysis. If you received any severe injuries like these, you may be entitled to substantial compensation for your injuries. If you were severely injured in a motorcycle accident, the other driver and their insurance company may be ordered to pay high amounts for your injuries. The money from a motorcycle accident may help support you and your family while you recover, and may help pay for medical and other expenses. If you lost a loved one to a motorcycle accident, this compensation may help your family significantly. In a motorcycle accident lawsuit, you may be entitled to have your medical expenses paid. This money can cover the cost of emergency medical treatment, surgeries, X-Rays, MRIs, CAT scans, physical therapy, rehabilitation, occupational therapy, and other expenses. You may also be able to have the cost of medical devices, like wheelchairs and crutches, paid for. If your injuries were severe enough to prevent you from going to work, you may be entitled to the paychecks you missed. Any wages you miss because of your injuries could be reimbursed. If you are too injured to return to work, or now have a permanent disability that keeps you from working, you may be entitled to recover any future lost wages as well. You may also be entitled to separate payments to directly compensate your pain and suffering. This money comes on top of medical expenses, and is intended to make up for your physical pain and mental suffering. Alabama’s Supreme Court has denied laws that limit these damages, so you may be able to reclaim as much money as a jury sees fit for your pain and suffering. If a loved one died in a motorcycle accident, you may be entitled to recover damages for their death. This could include money for funeral and burial costs, as well as economic consequences of their death. This could entitle you to compensation for their lost paychecks, inheritances, benefits, and other items. You may also be able to claim damages for their loss, directly, and the other consequences of their loss, such as lost counsel, companionship, and other issues. Always talk to an attorney about your options for recovering compensation. You may be entitled to file a lawsuit for your injuries, but the other driver or their insurance company may try to convince you to settle. If you are offered a settlement, do not accept anything until you talk to an attorney. Accepting a settlement from insurance or the other driver may prevent you from taking your case to court. In court, damages (such as pain and suffering) may be much higher from a court than from a settlement. Talk to an attorney to understand what your case might be worth. 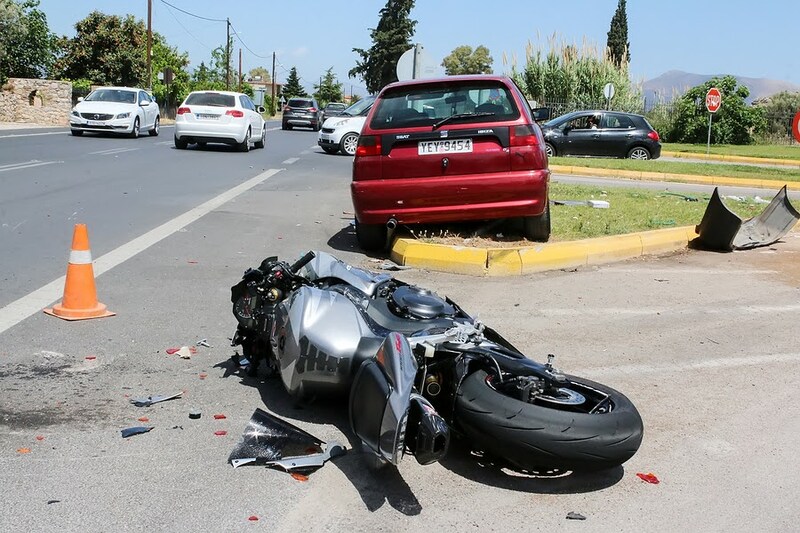 The Montgomery motorcycle accident lawyers at The Morrison Law Firm represent injured motorcycle accident victims in Montgomery and the surrounding areas. If you or a loved one was injured, you may have a limited amount of time to file your motorcycle accident lawsuit. Call our lawyers today for a free consultation on your motorcycle accident case and to understand what your case might be worth. Our number is (334) 625-6128.